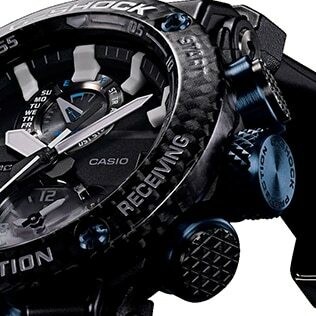 Tokyo, February 27, 2019 — Casio Computer Co., Ltd., announced today the release of a new edition to the aviation concept GRAVITYMASTER series, part of the G-SHOCK brand of shock-resistant watches. 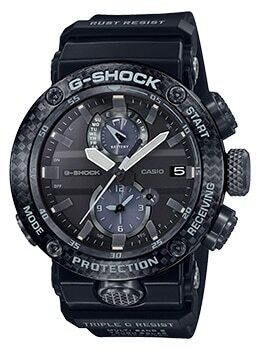 The GWR-B1000 features a new Carbon Core Guard structure for shock resistance, improving toughness and making it the lightest watch in the GRAVITYMASTER series. The new Carbon Core Guard structure delivers superior shock resistance by leveraging the properties of carbon fiber (shock resistance, rigidity, and resistance to degradation), which is also used for aircraft fuselage parts. The GWR-B1000 uses a carbon monocoque case made from carbon fiber-reinforced resin, that seamlessly integrates the case and case back. 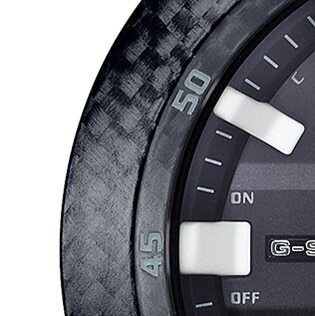 As a result, the GWR-B1000 boasts high strength while weighing less than any previous GRAVITYMASTER series watch. The stronger case and the modified plate that holds the circuit board in place inhibit direct impact to the button shaft and circuit board, eliminating the need for button guards on the side of the case. The changes give the GWR-B1000 shock-resistant buttons that boldly redefine the image of G-SHOCK. The watch features a carbon-fiber* insert band with excellent tensile strength, to withstand use in the harshest conditions. The button at the 2 o’clock position directly operates a stopwatch, for enhanced ease of use. All externally exposed metal parts are made from lightweight, rust-resistant titanium. The watch also keeps accurate time through time adjustment using Bluetooth® and radio wave time-calibration signals, meeting the precise time demands of flying. 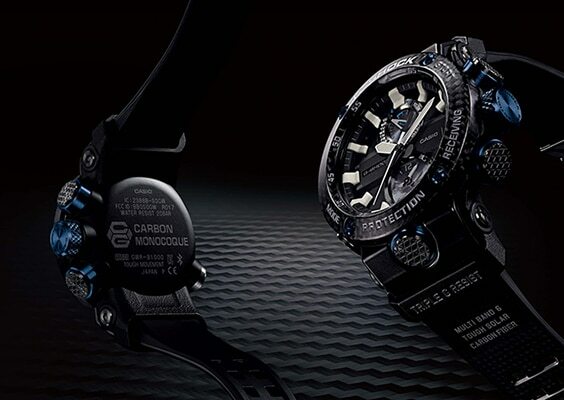 The GWR-B1000 explores new possibilities in terms of the materials, construction, and features of a watch. 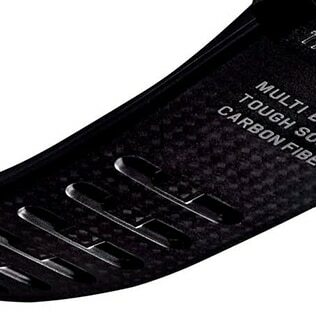 TORAYCA® carbon fiber from Toray Industries, Inc.
Strong, lightweight carbon composite material is laminated, machined, and molded into the form of a bezel. The textured pattern extends up to the sides of the bezel, for a finish that is both tough and beautiful. The structure of the bezel is designed with gaps between it and the case, which allows the parts to absorb shock. Instead of metal, the case uses carbon fiber-reinforced resin, which offers exceptional shock resistance, rigidity, and resistance to deterioration. The case and case back are seamlessly integrated into a monocoque, improving strength and resisting shock while reducing weight. The stronger case and and the modified plate that holds the circuit board in place inhibit direct impact to the button shaft and circuit board, eliminating the need for button guards. 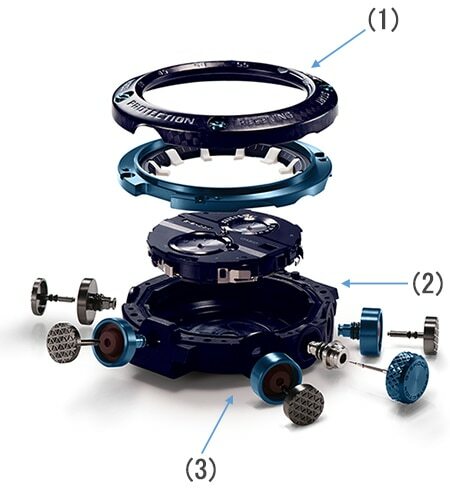 The periphery of each button is enclosed in a pipe, which increases strength and makes button operation easier. Buffer parts are made of a highly elastic, very hard material that reduces shock to the case. The Bluetooth® word mark and logos are registered trademarks owned by Bluetooth SIG, Inc. and any use of such marks by Casio Computer Co., Ltd. is under license.